Cosgrave Developments has been given the go-ahead for a €300m development at the former Dun Laoghaire golf course in south Dublin. The new development will include more than 600 homes, mostly apartments, in buildings rising as high as seven storeys. Five parks, measuring a total of 7.5 acres, will also be provided as part of the scheme. The new development is on the southern part of the 78-acre site and is in addition to more than 850 residential units that were approved by An Bord Pleanála last year. Cosgrave took control of the former golf club after agreeing a land swap with the members that included a €20m fee and the provision of a new 27-hole golf course at Ballyman Glen on the border between Dublin and Wicklow. The Dun Laoghaire land was rezoned in 2004 after the Department of the Environment ruled that insufficient land had been rezoned for housing. Cosgrave Developments is part of the Cosgrave Property Group owned by Joe, Mick, Peter, Willie and Helen Cosgrave. Dun Laoghaire golf club recently told members it is considering increasing fees and membership in an attempt to reduce an operating deficit that is expected to reach about €1.7m this year. Harlequin Holdings, owned by property developer Jerry Conlon who has been linked with Anglo Irish Bank, has abandoned plans for a €100m luxury golf and hotel development at Wicklow's Brittas Bay after council planners recommended their proposals be refused. A planning application for the development, which Harlequin was developing in partnership with the Brennan Hotel Group, was withdrawn just one day before Wicklow County Council was due to make its decision. The massive development would have included a 142-suite hotel; an 18-hole golf course; 12 two-storey holiday cottages; a three-storey sports academy; a bowling green and pavilion; four all-weather pitches and 356 parking spaces. The application had been with the council since August 2008. However, failure to win support from planners dealt the development a huge blow. In her report, planner Elizabeth Bolger said the proposed development was in an area of outstanding natural beauty which could be eroded should it go ahead. With many of the hotel suites having their own external entrances, she suggested many could be used for long term occupation, contravening the council's settlement strategy. In addition, local road and water infrastructure was insufficient for such a large development and the environmental impact statement was inadequate, Bolger added. A spokesman for the Harlequin Holdings was unavailable to comment last week. COUNCIL officials in Dublin have denied suggestions they will be unable to meet obligations to supply household waste to the controversial Poolbeg incinerator. But officials have declined to reveal exactly what financial penalties they would face in the event of any such shortfall. Green councillors in Dún Laoghaire-Rathdown County Council believe that an increase in recycling trends and in private waste collectors who are more 'green minded' may lead to difficulties in the future for councils having to supply certain levels of waste. At a recent meeting, Cllr Tom Kivlehan asked the county manger to "report and discuss the consequences and penalties" facing the authorities in the event of such a shortfall. However, an official response noted that the "Dublin regional authorities fully expect to meet their waste commitments under their contract." In 2007, 470,000 tonnes of waste was generated in the Dublin area and was growing at an annual rate of 1.3%. "The contract for the waste-to-energy plant guarantees a minimum of 320,000 tonnes per annum from the Dublin region and as can be seen from the above figures there is little reason to believe that the minimum level of waste delivery will not be achieved." But Cllr Kivlehan said that there are concerns surrounding what effects recycling initiatives will have on the level of waste brought to the incinerator. "With recycling, in real terms what you are left with ... [is] the organic faction and badly soiled recyclables," he said. "If recycling gets stronger, they wouldn't be able to meet their quotas or else they would have to start dragging in rubbish from other areas." TRANSPORT minister Noel Dempsey is doing his bit for the struggling building industry by personally creating a number of construction jobs in his home constituency. The Meath West TD is preparing to demolish his home in Newtown, Trim and replace it with a new structure. A planning application filed with Meath County Council, through agents RKD Architects, in the name of Noel and Bernadette Dempsey, has recently been given the green light by officials. Filed in November last year, Dempsey's plans were given the go-ahead at the end of January. He will demolish everything at his Trim home, with the exception of his downstairs office, and in its place build a new country residence. According to a description, the project will consist of "a split-level residential dwel­ling retaining the existing home office at the lower level of a total gross floor area of 282sq m with external site works, landscaping, reusing existing connection to public foul sewer and services and new connection to the public surface-water drain on a site of 0.2328 hectares currently occupied by an existing house and home office which is to be demolished". As is normal in the majority of such planning applications, the minister will be subject to a number of planning conditions as part of his overall permission. A total of 11 such conditions were imposed, mostly pertaining to the finished structure keeping in line with the submitted plans and drawings. Visual amenity conditions included in the permission state that the builders will use the specified tile colours, that serviced lines and cables remain underground and that existing site boundaries are maintained. Other conditions for the development relate to the normal financial contributions made by developers or applicants in relation to services provided by the local authority. THE DEVELOPER of a 200 megawatt (MW) gas turbine power station proposed for east Galway says the project will not pose a health risk to local residents and will be environmentally sustainable. Joe Hodgins, former manager of ESB’s Moneypoint coal-fired power station, was responding to fears voiced by over 200 schoolchildren, teachers and parents at a protest outside Galway County Council offices this week. Galway West TDs Frank Fahey (FF) and Noel Grealish (Ind) and Senator Fidelma Healy Eames have backed residents’ calls for the proposed plant at Cashla, near Athenry, to be withdrawn. Mr Fahey, who said he had submitted an objection, said “the company has not engaged in proper consultation with the local community and local residents are vehemently opposed to it”. Mr Hodgins, managing director of Constant Energy Ltd in Loughrea, Co Galway, lodged the planning application several weeks ago for the 200MW open-cycle gas turbine plant at Cashla, Barrettspark, Co Galway. The “peaking” power plant is designed to work with wind energy in providing back-up supply when wind power is intermittent. Residents say the proposed plant poses a “risk to health, the environment, safety” and will cause “visual obtrusiveness, noise pollution, contamination of the ground and water supply”. Anne Carey, principal of Scoil Mhuire National School in Lisheenkyle, Co Galway, said the site was less than 1km from the school premises. “It is not a suitable location and I only learned about this proposal last Thursday – a week before the closure of submissions to the local authority,” she said. She said several hundred people had signed a petition and a number of objections were lodged. The school organised three buses to transport 196 primary school pupils, younger siblings, parents and teachers to the council’s offices on Thursday, which was the deadline for objections to the planning application. The residents’ group, “People before Profit”, argue that the proposed location for the plant is in a heavily-populated rural area, with 500 to 1,000 households and four primary schools in a three-mile radius. “The proposed site is to be located on agricultural land which has not been zoned for any type of development,” the group said. A similar project proposed for Claremorris, Co Mayo, was “successfully opposed” by residents, the group said. They added that residents in Ladera Ranch in California took their objections “all the way to the US Supreme Court to successfully overturn a decision to allow the building of a similar power station”. The residents said they feared emissions could “lead to serious health issues and complications for the residents in the surrounding areas, especially for those already suffering with asthma, allergies or other respiratory illnesses”. Mr Hodgins said the fears were groundless, and a voluntary public consultation had taken place last week in co-operation with the local development committee. The company’s plans were in the early stages, he said, as an integrated pollution prevention control would have to be applied for from the Environmental Protection Agency if planning permission was granted. A grid connection had been applied for, he said. “We would be very happy to work with the local community on this project,” he added. THE MIDWEST economy suffered a setback yesterday with An Bord Pleanála rejecting a planned €100 million redevelopment of the Tinerana estate on the shores of Lough Derg. The plan by Tinerana Ltd to transform the estate into a tourism resort was to generate 400 jobs through the construction and operation phase of the integrated tourism development. The Limerick-based company purchased the estate on 270 acres of land on the shores of Lough Derg from former Killaloe doctor Paschal Carmody and his wife, Dr Frieda Keane Carmody in a multi-million euro deal in 2006. In the plan, the company sought planning permission for the refurbishment of Tinerana House; an 18-hole championship golf course, a 32-bed apart-hotel, 155 two-bed holiday homes and an equestrian centre. The developers claim that the development would have generated €30 million per annum for the regional economy and €8-€10 million per annum for the local economy. There were no local objections to the plan and it was granted planning permission by Clare County Council last October. However, An Taisce appealed the decision to An Bord Pleanála with its heritage officer Ian Lumley describing the proposal as an “outmoded, exploitative, construction-based, car-based development”. In a rebuttal, the developers accused An Taisce of “scaremongering” in opposing the development. However, An Bord Pleanála refused planning permission for the proposal after its inspector stated that “the net economic benefit to the county of a grant of permission for such uses on an inappropriate site is negligible”. The inspector stated that the proposal “would be a large commercial scheme which would provide employment and facilities for tourists. “However, there is only a finite market for the visitor accommodation and other hotel uses which make up the bulk of the proposal. The board formally refused permission on two grounds: that the proposal would involve an unacceptably large amount of built development distributed through the landscape, whose scale and character would not be in keeping with the rural location of the site and that the proposal would pose an unacceptable risk of environmental pollution, be prejudicial to public health and to the natural heritage of the area. AN oral hearing is to be held by An Bord Pleanála next month into the controversial €54m incinerators planned for Cork Harbour. It will be the second oral hearing into the planned incineration scheme at Ringaskiddy with local residents, opposed to the development, faced with forking out about e80,000. The first An Bord Pleanála hearing took place in 2003. However, the board disregarded the recommendations of their senior inspector and, instead, granted planning permission to developers, Indaver. Cork Harbour for a Safe Environment (CHASE), in the meantime, sought a judicial review of the decision. By the time the court action was finished, the initial planning had expired. This time, however, Indaver lodged planning permission with the board under the Strategic Infrastructure Act. Amendments to the planning act were aimed at fast-tracking vital national infrastructure and sidestepping local authorities. It is reported An Bord Pleanála received 284 submissions in relation to the proposed new incinerators. The hearing will take place from April 27. The Department of the Environment is among the objectors, on the grounds of potential risks to human, plant and animal life. Objections were also received from the IFA, the Irish Midwives Association, Cobh Doctors Association, East Cork Tourism, local primary and secondary schools and their boards of management. CHASE spokeswoman Linda Fitzpatrick yesterday said the new hearing will cost the local community e80,000 to outline their case as they will have to bring in experts from all over the world. However, locals are delighted, she said, that health issues will be discussed, this time, unlike the previous hearing. "We’re glad that we can state our case again but the financial cost is quite high. Last time, the inspector was not allowed to hear, and had to ignore, any health-based evidence. New EU planning rules means that these issues will be under the microscope," she said. A spokeswoman for Indaver said the company was looking forward to dealing with arguments raised in submissions at the oral hearing. "We have always placed a high value on engaging with the people of the localities in which we operate. ... We are confident that the facts, not hearsay, will determine the merits of the proposal," she said. THE ambitious €1 billion Atlantic Quarter project in Cork’s docklands got the green light from planners last night. The mixed-use scheme, seen as a catalyst for the entire docklands regeneration, has the potential to create 4,800 jobs and provide homes for thousands of people. Developers Howard Holdings welcomed the decision and called again on the Government to deliver funding for critical infrastructure to kickstart the city’s massive docklands regeneration. "Howard Holdings is obviously delighted with the decision of Cork City Council, to grant planning and the company is reviewing the conditions at the moment," a spokesperson said. "It’s the first step in the realisation of the docklands vision in Cork and in time, will represent a significant opportunity for Cork and the wider area. "We now need the Government to commit to the necessary infrastructure to give the market the confidence and make this happen." Planners attached 24 conditions, but gave the company 10 years in which to deliver its vision. Once complete, Atlantic Quarter will feature a 51m-span swing bridge over the River Lee, which is dependent on Government funding, a "family" of three soaring cylindrical apartment towers, four huge office buildings with over half-a-million square feet of space, a 200-bed hotel, and a 5,500-person events centre called the Arena. The tower blocks will feature publicly-accessible roof gardens. Among the conditions are a reduction by three storeys of one of the project’s three landmark towers — from 19 storeys to 16. The developers must provide, at their own expense, a shuttle bus service from Atlantic Quarter to the city, and appoint a mobility manager for the development. A raft of other material changes to the height and design of several other buildings are also proposed. The total number of car parking spaces on site will be capped at 1,830 spaces, with a maximum of 300 for the events centre, which may be increased to a maximum of 600 on condition that the 1,530 spaces intended to serve the remainder of the proposed development are reduced accordingly by 300. Last year, Howard Holdings chief executive Greg Coughlan described Atlantic Quarter as a catalyst for other docklands schemes to follow. But he has repeatedly called on the Government to provide crucial "Gateway" money to part-fund the construction of the swing bridge. The city council has submitted a funding application and a decision is awaited. However, there are fears that the collapse in the State’s finances will mean the money is not forthcoming. In the meantime, An Bord Pleanála is due to rule in August on compulsory purchase orders to facilitate the bridge construction. Atlantic Quarter was launched last year. The planning application contained in dozens of boxes was submitted to council on March 7, 2008 and was so large, a separate room was set aside to assess it. ALMOST EXACTLY two years ago, I wrote a story about Metropolis, an incredible and precise virtual Dublin under construction by researchers at Trinity College Dublin. Supported by funding from Science Foundation Ireland, Metropolis was bringing together not just the expected computer scientists and engineers but also neuroscientists interested in how populating such a virtual world could give insight into how the human mind works and how people respond and act in crowd scenarios. In addition, city planners and the Environmental Protection Agency were interested and involved in the project because of its ability to offer test cases for changing the urban landscape or responding to a natural disaster. The problem for the average Dubliner, or Dublin visitor, though, was that they had no opportunity to see this virtual world themselves. Well, now anyone can come see a bit of virtual Dublin – more precisely, virtual TCD – at the latest event at Trinity College Dublin’s Science Gallery, which, like the research project, is also called Metropolis. You can don 3D glasses and view Front Square as an immersive three-dimensional world, or see how computing graduates have manipulated a model of Trinity on an X-Box to show different special effects such as lighting and atmospheric changes. Visitors can participate in research that will contribute to the overall project. There is also a fantastic game designed in co-operation with children at Dublin’s Central Remedial Clinic that has enabled them to explore the virtual city themselves. The goal of the Metropolis researchers has been to create the largest simulations of crowds ever achieved, using motion-capture technology for the animated inhabitants who stride through this recreated Dublin as if they own the place. The research is modelled around five main areas of design and investigation: motion, appearance, sound, behaviour and multisensory perception. Prof Carol O’Sullivan, a computer scientist and one of the principal investigators for Metropolis, says the virtual Dublin is allowing graduate student researchers to conduct experiments they wouldn’t be able to do otherwise on crowds, which will benefit computer games development and urban planning. Nine experiments are available for public users, ranging in time from five to 15 minutes. One of the experiments in which visitors are able to participate involves them donning headphones and trying to pick out an individual in a crowded Front Square while people shout out “hellos” and “over heres” from various corners of the square. The experiment looks at how much sound influences a viewer and would be very hard to replicate with real people in Front Square as you could hardly get enough volunteers for a big crowd for days on end, or have them shouting out all day long. Other experiments ask users to gauge the number of cloned figures that are part of a large walking crowd, determine the emotions of a crowd, or pick out an object in busy traffic. Perhaps the weirdest is a project in which the user tries to guess from body and leg movements which hidden animal is “dressed” as a sheep. O’Sullivan says trying to use farm animals to get the motion-capture data was a particular challenge – especially the woolly body and legs of the sheep. But I can report with certainty that looking at a virtual sheep that is walking like a cow is a bit disconcerting as well. O’Sullivan says the data gathered from adult visitors will be used by the graduates as part of their research. Children are more than welcome to try their skills on the workstations as well, but their data will not be used. A number of film screenings and talks are also a part of this week’s event, which runs through this Sunday. Wall-E and The Lion, the Witch and the Wardrobe are on today and tomorrow. There is a talk by the creators of Metropolis at lunchtime today at the gallery, while this evening features a discussion on creating crowd scenes by Paul Kanyuk, a technical director with famed Pixar Studios. Tomorrow there is a talk on a similar topic with Rhythm and Hues, the company that produced crowd scenes for the Narnia films as well as a Night at the Museum and other films. Tickets are free but very limited – get more information and check availability with the Science Gallery or online, at www.sciencegallery.com/events. Metropolis is now going into the final two years of its funding, says O’Sullivan, who adds that researchers are delighted to have the chance to show it off a bit to the public. The next step is to start developing specific commercial applications, most likely in the areas of games development and urban planning. THE TEMPORARY car park in Leinster House, which covered a historic lawn when it was created nearly a decade ago, is to be removed this summer, the Houses of the Oireachtas Commission decided this week. However, the decision to restore Leinster Lawn was not easily made, according to sources, and a number of members of the commission opposed the motion proposed by Fianna Fáil TD Michael Mulcahy. Leinster House has 293 parking spaces which are used by members of the Oireachtas, some Oireachtas officials and some journalists. It will have 225 once the work is completed. Minister of State at the OPW Martin Mansergh urged the members of the commission – which is responsible for running Leinster House – to agree to the change, which is unpopular with many in the buildings. Leinster House, he said, could not seek to retain a development that should have disappeared years ago as part of the planning conditions that were given when a major extension called LH2000 was built. Minister for Transport Noel Dempsey wrote a strongly worded letter to the commission, supporting the removal of the parking places and arguing that politicians had to give a lead on public transport. The restoration of the lawn will be done by the OPW at a cost of approximately €200,000 – a far cry from the €500,000 figure that was pencilled in for the work in earlier plans. That earlier figure was based on the assumed use of contractors to do the job. Using OPW staff will be more economical, Mr Mansergh told the commission. Leinster Lawn, which faces Merrion Square in front of the Houses of the Oireachtas, was replaced by a car park in July 1998 as a temporary measure during the construction of LH200. The planning permission for the work at the time required the lawn be reinstated after the building work was done, but this did not happen because the OPW deferred the work on the grounds that an underground car park was to be built. The decision on Wednesday means that the car park, which would have cost €25 million and would have been open to the public, has now been deferred indefinitely because of the cutbacks. I visited my parent’s house last week, stayed for a couple of days and walked a lot around my old neighbourhood. On one of these walks I noticed several planning site notices, more than five, stapled to utility poles and hung on walls. All dated back further than five weeks, the statutory time-period for display of a site notice. In fact, one went back to 2003. Not knowing either of the applicants I contacted the local authority, was passed along to the planning enforcement department and informed my complaint would be needed in writing, that there were forms and these could be sent via email. Two days later and no response I emailed the department with a simply outline of the simple query. Five days later, two of which were weekend days, a member of the planning enforcement emailed, informing me the planning regulations did not cover enforcement proceedings against an applicant who had failed to remove their site notices. The regulations only stated that site notices must be removed and as the matter was now a litter concern I should contact the local area litter warden, for whom a number was provided, and in the event that the local authority might take action against the public utility provider I should also contact them. For the record, the local area litter warden was a member of the same local authority as the member of planning enforcement, but for some reason direct contact was not considered. In a response I refuted responsibility for the matter. As a third-party citizen who merely raised the issue I did not see how the onus could fall on me to pursue it further. I also suggested the response panged of passing-the-buck and a letter of complaint would be made to the local authority. In addition, a letter would be sent to the Department of Environment suggesting that an amendment to the regulations be made to cover the issue; if there were more than five within a short distance, I could only assume the same problem existed throughout the country. Sure, in practical terms the problem may be innocuous. What provoked such ire was the principle of how the situation was handled, or not as the case may be, by the local authority. In short, it was indicative of many of this state’s problems. Since not more than a day has passed since sending, I await reply from the Department of Environment. A NORTHERN Ireland judge, who was involved in a successful legal challenge to the requirement for senior Northern barristers to take an oath to serve the British queen, has lost a High Court case to overturn permission for a development of three houses allegedly adjacent to his holiday home in west Cork. In 1999, Seamus Treacy, then a barrister, won a landmark legal action against having to promise to “well and truly serve Queen Elizabeth II”. He and another barrister claimed the declaration discriminated against them as nationalists and was an affront to their political sensibilities. Mr Treacy, who was appointed a High Court judge in Northern Ireland in 2007, brought High Court proceedings here challenging a 2006 decision by Cork County Council to grant planning permission for a development of three houses at Colla, Schull. His proceedings were brought against Cork County Council and the Minister for the Environment. The proposed developers, Kieran Coughlan and Claire Riordan, were notice parties. Mr Coughlan and Ms Riordan lodged their planning application for their site at Colla on March 16th, 2006, and secured permission on July 4th, 2006. They proposed constructing three dwellings and related waste water treatment units. In his judgment yesterday, Mr Justice John Hedigan ruled the high point of Mr Treacy’s claimed interest was that his holiday home was located nearby, but it was clear the development was below and out of sight of the applicant’s property. AFTER A five-year planning battle a consortium of high profile developers has been granted planning permission by Dún Laoghaire Rathdown County Council for an apartment development at the former Solus Tower factory premises at Corke Abbey, Bray, Co Dublin. The development proposed by Anthony Durkan, Christopher Bennett, Joan Pierce and Conor Kevaney comprises 60 apartments in two blocks ranging in height from two storeys to five storeys all over a basement car-park with 79 spaces. There would be a mix of 44 two-beds, seven one-beds, and nine three-bed apartments. The development would also have two roof terraces. In 2006 the council refused planning permission for 78 apartments on the site and in 2004 An Bord Pleanála refused permission for 88 apartments. Prior to that, German discount store Lidl was refused planning permission to build a store there. - Meanwhile Dún Laoghaire Rathdown County Council has circulated a detailed proposal to councillors informing them it wants to erect 30 JC Decaux advertising signs in the county. This is a separate proposal to the one announced in February proposing 60 freestanding Clear Channel Ireland advertising billboards projected to make €10 million over 10 years. Proceeds are earmarked to increase expenditure in the recreation and amenity areas of the council’s budget. This time around the proposal is for for 30 single and double sided large Europanel metropole signs. While the council is remaining tight lipped on the expected revenue, the venture is expected to generate millions for the council given the size of the structures. The locations for the billboards are believed to be at the junction of Mount Merrion Avenue and Rock Road, near Blackrock College, at the gateway to Cherrywood and at the entrance to Sandyford Industrial Estate. The council says that any development by a local authority under a €126,000 threshold is deemed to be exempt from requiring planning permission. In the case of the outdoor advertising sites, each site is being developed individually and the cost is far lower than the €126,000 threshold. 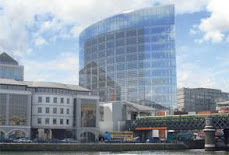 - The Dublin Docklands Development Authority (DDDA) has challenged a proposal by Treasury Holding’s Spencer Dock Development Company to build an eight-storey office building on North Wall Quay, Dublin 1. In an appeal letter to An Bord Pleanála, the DDDA says the office block, which was given the green light by Dublin City Council, is contrary to the North Lotts planning scheme 2002 in terms of its impact on the setting and fabric of two protected structures on the site. The authority also says the development is too commercial in nature and would prevent the developer from delivering the required 20 per cent of social and affordable housing on the site. The protected structures on the site are the Woolstore and the former Goods Depot and the DDDA says the height and massing would materially detract from their setting. TEN YEARS AGO ago, Greystones was a very pleasant but slightly sleepy town, still far removed from the bustle of Dublin. Times have certainly changed. There is still a very attractive village atmosphere, but the population of greater Greystones has soared, with several large developments on the outskirts, and the arrival of the Dart. Not everyone is pleased with all the changes, but on the food front, few can complain. A decade ago, options to eat out in Greystones were fairly limited. There were a couple of decent Italian trattorias, Bistro Vino by the station, or Cooper’s down by the harbour. The greatest treat was a visit to The Hungry Monk , a legendary establishment that still thrives. Last week, I counted no less than 20 businesses all serving food of some sort, all on Church Road, the main street, or a very short walk away from it. Eating at home has got a lot better too, with a clutch of fine-food shops to please the most fastidious of foodies. Every restaurant seems to have its fans. Bistro Vino has been in operation for many years, serving wholesome Italian classics, but things have taken a change for the better under new ownership. Regulars (and there are many) swear that it offers the best value in town. Serving a range of pasta, pizza and a few more adventurous dishes, it is very popular for families out on the town. Across the road is The Burnaby , a pub that is a regular lunchtime haunt for people working locally. The interior has been very sensitively restored and modernised and in many ways shows the way forward for that great institution that is the Irish pub. The cooking here has taken a jump forward recently; Aran’s seafood chowder is a meal in itself, and a delicious pie and a pint is a great way to start the weekend. Bochelli has its fans too – it’s a classic Italian red-sauce joint with genuine attentive Italian service in a very lively atmosphere. The Royal Park , a traditional Chinese restaurant, may not stray too far from the usual formula, but the service is excellent and the food is reasonably priced. Other favourites include Scent (mixed Asian) and Backstage @ Bels , with its theatrical theme. Food here is locally sourced where possible, and modern Irish in style. Also popular with Italian foodies is Diva , down by the harbour. A little further up Church Road, the cooking gets more ambitious. The Three Qs , run by the three Quinn brothers (Paul, Colin and Brian), offers an excellent mix of modern and international cuisine in a pleasantly laid-back atmosphere. There is a distinctly Mediterranean feel to the menu, with falafel and Moroccan fish, but the dhal soup is a must-try too. The Irish side of the menu includes plenty of pork, game and fish (be sure to try the game pie). If the menu sounds overly complicated, fear not. It works perfectly, with real inventiveness and style. Three Qs also opens for breakfast and light lunches too; home-made baked beans with mature cheese on toast will banish any lingering winter blues. Across the road you will find both The Hungry Monk, and Chakra (see panel, overleaf). Coffee shops abound, and all seem to be buzzing, despite the recession. Summerville (formerly Poppies) is a favourite among walkers after a climb over Bray Head. During the week it seems to be full of mothers meeting for coffee after the school run. Another long-term tenant is Homan’s , down by the station, which makes a real effort to offer a decent cuppa and something to nibble alongside it. Scone afficionados tell me they make the real deal here. Farther up the street, The Happy Pear and Caviston’s both do a very brisk lunchtime trade. Next door to The Happy Pear, A Caviston (the A is for Amy), a recent arrival, does a great lunch, featuring, not surprisingly, plenty of fishy salads. An off-shoot of the famous Glasthule shop, A Caviston offers an excellent selection of fish, cheese and other goodies, as well as having a cafe. The quality of cold meats, cheese and other deli foods has added an extra dimension to shopping in Greystones. Competition on the fish front is provided by Moran’s , which also supplies many of the local restaurants. One thing missing from the food scene in recent years has been a decent butcher’s shop. Most proper foodies head up to Delgany, home to Farrelly’s , a traditional butchers that slaughters its own beef and lamb. Regulars here are treated to a stream of happy banter while waiting for their massive organic T-bone steaks. In recent months, however, there is competition from The Steak Shop , which opened just off the main street in Greystones, selling that rarity: properly hung beef and lamb. There is more choice for the take-home brigade with the recent arrival of several upmarket shops. In addition to Supervalu, Tesco and Lidl (not to mention Superquinn just down the road in Charlesland), shoppers can now choose between Butler’s Pantry on Church Road, and a large new Donnybrook Fair , complete with on-site wok cookery, high-quality take-home foods (try the meatballs) and an excellent wine shop. This in turn provides competition for the Wicklow Arms in Delgany, with its well-selected range of wines and beers, and O’Briens on Church Road. The population of Greystones must be among the healthiest in Ireland. In addition to The Happy Pear, there is Nature’s Gold health-food shop where, alongside homeopathic remedies, you will find all of the foodie’s cupboard staples, from Tamari soy sauce to a range of pulses and cereals. Beside Nature’s Gold is Ireton’s , a perfect example of the traditional Irish grocer. Another healthy option is the Ecoshop , recently arrived from Glen o’ the Downs. This offers an amazing array of eco-friendly goods for home, garden and table. For the kitchen there is an interesting selection of foods, including organic meats, vegetables and cheeses. If all this food leaves you bloated, Greystones now boasts some of the finest sporting facilities in the country. There are three golf clubs, vibrant tennis, rugby, soccer and GAA clubs and, for the more sedate, a bowling club. Then there is a new community swimming pool and sports centre, as well as a Jackie Skelly pool and gym. The Charlesland Sports and Recreation Club has an all-weather athletic track, skateboard park, baseball diamond, tennis courts and a climbing wall. Once the harbour is completed, the sailing, rowing and angling clubs will return to normal, complete with new facilities. Overall, the food scene in Greystones has been transformed in recent years and now offers a huge range of options for eating out and at home. There is still the remnant of a farmers’ market on Saturdays (this includes a very good butcher who travels from a farm in Co Antrim). Otherwise, people seem happy to spend their money in the local shops. Every Saturday, the main street is humming with contented locals filling their bags with a range of goodies, many of which are sourced from the green hills surrounding the town. SOME RECENT DEVELOPMENTS in the Greystones area have been controversial, of course. To the south of the town, an approximate triangle encompassing Kilcoole to the south, Greystones to the north and Delgany to the west, is rapidly being filled with housing and other developments. Both Delgany and Charlesland have expanded greatly over the past five years. The greater Greystones area, including Delgany and Charlesland, has grown by more than 40 per cent, and now has a population of 20,000. There were plans, turned down by An Bord Pleanála, to build a massive retail complex in Charlesland. Within the town of Greystones, the Meridian Point shopping centre has been slow to take off, but could now receive a welcome boost with the opening of a new street, Theatre Lane, which features several retail outlets and a multi-disciplinary arts venue, Greystones Theatre and Studios. It has regular concerts and a resident gospel choir. In a move that proved very divisive, Wicklow County Council entered into a public-private partnership scheme to develop the harbour and surrounding area to the north of the town. This is currently under construction and when completed it will include more than 340 residential units, shops, a 230-berth marina, and facilities for marine activities. The scheme has been delayed, and it is currently two months behind schedule. The main harbour is due to open in May 2010, followed later by the boardwalk, housing and retail units. In the meantime, most of the harbour area is blocked off, although it is still possible to access the cliff walk to Bray Head. With the opening of two new schools last year (one Educate Together, one Gaelscoil), Greystones now has five primary schools (six if you include Delgany). But as anyone travelling on the lively morning Dart will confirm, there is only one secondary school. Most students travel elsewhere to further their education. Overall, many feel that Greystones is rapidly turning into a southside Malahide; for some this is a positive development, others feel that the developments over the past decade have been sufficient. I am conscious that for many visitors to Greystones, the foodie attractions of the village will play a strictly supporting role to the main business of the day – shopping. And I don’t mean shopping for food. So, for the fashion conscious, here are the edited highlights. Toil & Glitter on Theatre Lane specialises in Scandinavian clothes and accessories, and carries a line of cool, elegantly deconstructed designs expertly chosen by owner Jill Barrens. Right next door, Shadore boutique, formerly of Wicklow town, is presided over by the irrepressible Sharon Mother, who loves nothing more than to have her clients “come in and play” with her quirky, highly individual selection of clothes. Mrs Wilson particularly covets her Aideen Bodkin brocade coat. JuJu , on la Touche Place, is the place to go for investment and one-off items by labels such as Schumacher, John Rocha and Eileen Shields. It also stocks a beautiful, jewel-coloured range of cashmere by Johnston’s of Scotland. Little Miracles , next door, sells an affordable and stylish range of maternity clothing. The selection of wrap dresses come highly recommended for non-pregnant women as well. Rubana on Hillside Road carries a small but carefully chosen selection of elegant designer gear. Tuchuzy on Church Road has a great selection of clothes by labels such as In-Wear, French Connection and The Barn. Escape boutique, beside Homan’s coffee shop on Church Road, is a long-established boutique catering for all ages and shapes with a wide range of stock including Noa-Noa, Pieszak ze Zinsky and Lysgaard. Greystones is also home to two artisan jewellers – silversmith Colleen Gallagher, who designs and creates an extensive range of sculptural pieces from her shop, KC Gallagher , on Church Road, and goldsmith and gemmologist Anne-Mette O’Connor who creates highly individual and bespoke pieces from her workshop at AMOC , also on Church Road. DIRECT TALKS involving the Government, Shell senior management and north Mayo representatives over the Corrib gas impasse are expected to continue next month, following almost five hours of discussions in Dublin yesterday. The talks, involving three members of the Rossport Five, were described last night as “full and frank” in a joint statement issued afterwards by Minister for Energy Eamon Ryan and Minister for Community, Rural and Gaeltacht Affairs Éamon Ó Cuív. “Core issues were discussed, and it was agreed to give some time for all parties to reflect,” the Ministers said. They were “hopeful that there will be a follow-up meeting as soon as possible”. The session, chaired by former Department of Justice secretary general Joe Brosnan, was held at Mr Ó Cuív’s department headquarters in Mespil Road, Dublin. It represented the first direct talks between Rossport Five members and Shell since the five were jailed for 94 days in 2005 over their opposition to the routing of the high-pressure Corrib gas onshore pipeline. Shell was represented by John Gallagher, vice-president (technical) of Shell EP Europe, and Terry Nolan, Shell EP Ireland managing director. When a third Shell nominee was unable to travel, attempts to nominate substitutes, including Shell EP Ireland director John Egan, were overruled by the Erris community delegation before discussions began. The Mayo delegation included Rossport Five members Micheál Ó Seighin, Vincent McGrath and Willie Corduff of Pobal Chill Chomáin community group, along with Fr Michael Nallen, Mary Corduff and John Monaghan. Erris group Pobal le Chéile, which represents business interests in the area, was represented by four delegates, including former Air Corps pilot and adventure sports company director Ciarán Ó Murchú and fisherman Anthony Irwin. Fr Nallen was one of three priests who proposed a compromise location for the Corrib gas terminal at Glinsk, which has been rejected by Shell. Both community groups support Fr Nallen’s compromise, while Shell to Sea is still holding out for an offshore terminal. Shell to Sea was not invited to participate, according to its spokesman, Naoise Ó Mongáin, who staged a picket outside yesterday’s discussions at Mespil Road. “Even if we were invited, we would not talk to Shell, while Maura Harrington is in Mountjoy Jail,” Mr Ó Mongáin said. Harrington, his wife, was imprisoned for 28 days by Judge Mary Devins at Belmullet District Court earlier this month for an assault on a garda. Mr Brosnan and the Ministers have said that the discussions will have an “open agenda” – the first time that the State has not tried to confine resolution attempts to particular terms of reference. Shell EP Ireland has said it welcomes the opportunity to “participate in a positive and open manner in these talks”. Pobal Chill Chomáin and Pobal le Chéile said they had agreed to accept the invitation from the Ministers “in an effort to resolve the issues that have plagued the Corrib gas project since its initiation in 2000”. An Bord Pleanála is still in the early stages of assessing Shell’s revised plans for a modified pipeline route, and for planning approval for the critical beach valve station at Glengad. The Organisation for Economic Co-operation and Development (OECD) has already indicated that it will initiate separate mediation on the issue between Shell and Pobal Chill Chomáin, following confirmation that a complaint lodged by the north Mayo community is “admissible”. Shell EP Ireland said in a statement last night it was “very glad to have had the opportunity to meet today with the groups who oppose the project” and the discussions were “open, frank and constructive”. BACK IN 2002, when the Exchequer was awash with money, the Government introduced a “representative payment” of €16,600 a year for local councillors. It wasn’t a great deal of money. The payment – and a related retirement bonus – was designed to bring new blood into local politics and to mark an end to Oireachtas members holding council seats. But it also signalled a transition from the concept of the volunteer local representative who engaged in politics for altruistic purposes to a paid representative. Since then, the impetus towards salaried, full-time local politicians has gathered pace. It is time for a public debate on the issues involved. Minister for the Environment John Gormley is in the process of preparing a White Paper on local government reform. Among the submissions he has received is one from existing councillors who are seeking scaled-back Oireachtas pay and conditions. They want salaries of at least €50,000 a year and State pensions as well as office accommodation, secretarial assistance and financial resources. They believe there should be special payments for mayors and for the chairmen of strategic committees. It has always been accepted that local councillors should not be out of pocket for carrying out their duties. They receive various allowances and payments. In 2007, the cost of representation by our 883 councillors amounted to €29 million. The average sum received by an individual, including the representative payment, was in excess of €33,000. The highest-earning councillor received €80,000. Most councillors do not become involved in community affairs because of the money. Some individuals see local politics as a path towards Leinster House. Others are happy for the status it offers and for an opportunity to contribute to their communities. But a handful, as various tribunals have found, abuse the system and engage in corrupt planning practices and improper land rezoning. Paying councillors to become professional politicians would not necessarily change that pattern or improve the quality of local representation. Whatever about formal payments, anecdotal evidence and official concern would suggest that the allowances and expenses systems are being abused and need to be changed. With local elections less than three months away and a White Paper being prepared, candidates and the electorate deserve clear guidance about future pay and conditions. GALWAY CITY Council’s planned “cultural quarter” has taken a step forward with confirmation that construction is due to start shortly on a €4 million arthouse cinema. The 350-seat cinema is being developed on Merchant’s Road, close to the docks. The project has been initiated in partnership with Solas, comprising Galway Film Society, Galway Film Fleadh, Galway Film Centre and Galway Arts Centre. Initial works will begin next month and construction is due to begin in June just after the departure of the Volvo Ocean Race. Three cinemas are incorporated in the design – a 176-seater at basement level, a 77-seater on the second floor and a 105-seater on the third floor including 28 seats on the balcony. The cinemas, equipped for 35mm and digital projection, will screen films of the “widest cultural diversity and will offer programmes that are innovative in form and challenging in content,” the city council says. “Programmes will include Irish-made films, films in the Irish language, European and independent feature films, documentaries, animation, classic films as well as thematic, archival and retrospective cinema. Special emphasis will be given to educational screenings and matinee opportunities for diverse audiences,” it says. The development includes a cafe and a bar area, a book and DVD shop and an online archive link to the National Film Archive and “specialist online cinema resources”, the council says. The project was earmarked in the current city development plan which recognised a “deficit of culture and arts infrastructure in the city”. The authority has acquired additional property in the area as part of its “cultural quarter” plans, incorporating the new cinema and the existing city museum. THE GOVERNMENT has ordered a halt to planned spending on almost 80 national road-building schemes, worth billions of euro, until further notice. The instruction was issued to the National Roads Authority late last month. Under it, the NRA is forbidden from spending on all capital projects which are not already under way, unless each new project is individually sanctioned by the Department of Finance. The curbs will affect 78 major construction projects in the NRA Roads Programme, 55 of them national primary roads and 23 national secondary roads. The curb will also extend to road maintenance where contracts for items such as road resurfacing will also need to be pre-approved by the Department of Finance. A spokesman for the NRA said the authority was “very concerned”, particularly as a lot of current inter-urban schemes were ahead of schedule, and would be completed this year. Under normal circumstances the NRA would then move ahead with 55 planned improvement schemes on national primary routes, including those linking Dublin with Monaghan, Sligo, Mayo and Wexford, as well as inter-regional routes, such as Limerick to Waterford and Limerick to Cork, and national secondary roads. In effect the move means that as the inter-urban routes are completed over the coming 20 months, the NRA will gradually run out of work, unless schemes are individually approved by the department. The department confirmed yesterday that all new capital projects now need to be pre-approved. A spokesman acknowledged that this new requirement had been imposed “in the light of changing economic circumstances”. The only exception to the Government’s edict is to be the 6km Castleisland bypass in Co Kerry, sanctioned by the Department of Finance on March 19th. Credit for the sanction was yesterday claimed by the Independent Kerry TD Jackie Healy Rae, who said he had used his position as a Government supporter to “at all times put the interest of the people [of Kerry] first”. He said the Opposition should “stop trying to jeopardise the further items that I have an agreement on”. The instruction to the NRA mirrors that issued to local authorities ordering them to halt €500 million worth of work on regional and local roads, pending approval of each scheme from the department. The Construction Industry Federation met Department of the Taoiseach secretary general Dermot McCarthy in recent weeks to express its concern at the Government’s instruction. The federation said the halt in spending was “right across the board in relation to the National Development Plan commitments on water, housing and roads”. In relation to the roads it said the instruction was “absolutely savage”. “At our emergency meeting with Dermot McCarthy we pointed out that every €100 million invested in infrastructure carried with it 1,000 jobs and returned €50 million to the Government in taxes and reduced social welfare payments . . . it is a major bone of contention,” federation spokesman Martin Whelan said. The inter-urban motorway programme that was announced by the Government in 1999 comprised motorways to the Border and the regional cities of Galway, Limerick, Cork and Waterford. 23 schemes on national secondary roads. These schemes will not now go ahead unless specifically sanctioned by the Department of Finance. IRISH people are among the highest generators of household waste in the EU, producing over 50pc more than our European neighbours, writes Paul Melia. The average citizen in Ireland produces 786kgs of rubbish -- about 10 full wheelie bins per person -- far in excess of the 522kg EU average. But we have one of the highest recycling rates, with new figures from the European Commission showing that 34pc of all waste is re-used here. We compost just 2pc of all household waste, and landfill 64pc. The least amount of waste per person was generated in Romania, Latvia, Poland, Slovakia and the Czech Republic. With a population of just 15,000, the Kerry town is about to get its 15th betting shop. And local town council policy on betting shops was disregarded as An Bord Pleanála granted planning permission for a new outlet. Many locals have compared the tourist haven to Las Vegas due to the proliferation of gambling facilities. Local business couple Pat and Eileen Sheahan have been granted planning to convert existing ground floor retail space into a betting shop. It is understood Boylesports — which also has another outlet in Killarney — will be moving into the premises. There are currently 14 betting offices in Killarney, according to the town council. In its new draft development plan, the council says its policy is not to give planning permission for betting offices. But board inspector Bob Gunkel said as the draft plan had not yet been adopted, it could be changed in its final version and he would be reluctant to base a recommendation on a draft document. The Sheahan-owned premises is in Michael Collins Place, close to the town centre. James and Shelley O’Neill, owners of Fairview guesthouse which adjoins the premises, objected to the planning decision, claiming there had been a huge increase in betting offices in the town and the development would have an adverse visual impact on the streetscape. The Sheahans had sold the first floor to Mr and Mrs O’Neill. Mr Gunkel, however, found the building met all regulations on noise and said the closing hours would prevent any adverse impact on patrons of the guesthouse. THE visually-impaired and those with mobility problems should find Ireland’s newest road the safest to cross. The €35 million northern relief road in Midleton, Co Cork, was opened to traffic yesterday and comes with some unique safety features that will particularly benefit pedestrians. Visually-impaired people can press pedestrian push button units that will tell them about the number of lanes ahead and inform them of the direction of oncoming traffic. Meanwhile, dimples or "blisters" on colour-coded tactile paving are aligned to guide them directly to the other side. "In a suburban environment like this, they are top of our priority list and the cars come at the bottom in terms of road users that we are facilitating," said Cork County Council senior engineer, John Lapthorne. For people in wheelchairs or those pushing buggies, there is a smooth, low-gradient surface between the path and the road at crossing points. Dedicated cycle lanes, which are segregated from the main traffic, run along each side of the road. The high cost of the 1.6km road reflected the price of land in urban areas. The cost of acquiring the land was double that of the construction costs. Part of the reason the road was developed was to allow easy access to the railway station in town, which will be opened later this year to coincide with the re-opening of the Cork-Midleton commuter rail service. TWO YEARS after the alert was raised over serious contamination of Galway’s drinking water, a US expert has warned that public health monitoring of the water supply must not become a victim of Government cutbacks. Dr Jon MacDonagh-Dumler, who has studied the impact of the cryptosporidium contamination which claimed over 100 lives in Milwaukee 16 years ago, said that drinking-water monitoring must remain “high on the priority list”. If Ireland is to learn from mistakes made in the US, communication with the public on water quality issues is also imperative, he said. While there were no fatalities in Galway’s cryptosporidium contamination two years ago, a small number of people still have chronic illness associated with it and city residents continue to express concern about lead contamination detected last year. “The US is still not where it should be on this issue, in spite of the fact that the Milwaukee contamination in the Great Lakes area of 1993 is still the worst public health incident on record,” Dr MacDonagh-Dumler said. He is based at NUI Galway on a Fulbright scholarship, where he is studying the implementation and likely impact here of the EU water framework directive. The EU directive is an “innovative” piece of legislation on a “world scale”, which has great potential to improve water quality management – depending on how it is implemented in EU member states, he said. The directive combines the regulations of 11 existing major EU directives in one management scheme. Ireland and other member states must implement the first water management plan by the end of this year, and the deadline for public comments on draft river basin management plans is in June. The directive allows for stakeholder involvement by the public, and public participation and education needs to be a priority here, he said. “Water quality is affected in so many ways by human activity that it only makes sense to get people involved in decision making,” he said. Residents of one Galway suburb where lead was recorded at elevated levels last year fear that they may have to pay out over €370,00 in total to secure a safe domestic water supply. For the past six months, residents of 251 homes in Old Mervue have been forced to draw water from a communal tank in their housing estate or use bottled water after tests revealed high lead levels in their water supply. At a specially convened meeting for local residents, Anne Egan of Mervue Residents’ Association said that each household could be facing an average bill of €1,500 to connect up to a new piping system. The local authority is not required legally to provide a connection between the stopcock and domestic taps. The residents have decided to seek their own legal opinion, and they have also voted in favour of commissioning an independent engineering report on the issue. Work to replace the distribution main in Old Mervue is already under way and is due to be completed by September. Robert Pierce was at the meeting on behalf of his 84-year-old mother Lil, who lives in one of the affected homes. “They are going to put good water past the house, and then make us pay for it. This can’t be right. We should take this to the European Court of Human Rights,” Mr Pierce said. Cllr Terry O’Flaherty (Ind) supported the residents’ action, while Cllr Niall Ó Brolcháin (Green) said that “we need as a city to deal with this problem [and] sit down with the council and get a plan in place”. COSGRAVE DEVELOPMENTS says it plans to proceed with developing the former Dún Laoghaire golf course grounds, despite rumours that the €300 million development could be mothballed until economic conditions improve. The council was unable to comment in time for this article on how long it envisages compliance will take on the site. The board granted planning permission subject to 58 conditions, including payment of a levy charge to provide a bus service that will link the development with Dún Laoghaire Dart station. Cosgrave bought the 78-acre golf club site for €20 million plus a 27-hole course at Ballyman Glen near Enniskerry, from the club’s members in 2002. Another planning application to build 577 apartments, 28 houses and a crèche on the northern part of the 78-acre site off Glenageary Road Upper and Eglinton Park is still in the planning process. The land in question was controversially rezoned in 2004 after the then minister for the environment, Martin Cullen, used his powers under the 2000 Planning Act to issue a statutory directive to the council to rezone more land in the area to provide extra housing. Ken MacDonald of Hooke MacDonald, the appointed agent for the residential element of the golf club lands scheme, says as far as he is aware the scheme is set to go ahead as soon as planning issues are resolved. THREE MEMBERS of the “Rossport Five” are due to meet senior Shell executives and two Government Ministers in Dublin today in a bid to resolve health and safety issues related to the Corrib gas project. The negotiations, chaired by former Department of Justice secretary-general Joe Brosnan, represent the first direct talks between “Rossport Five” members and Shell since the five men were jailed for 94 days in 2005 over their opposition to the routing of the Corrib gas onshore pipeline. Minister for Energy Eamon Ryan and Minister for Community, Rural and Gaeltacht Affairs Éamon Ó Cuív will discuss the issues with three senior Shell executives – including John Gallagher, a vice-president of Shell Europe, and Terry Nolan, Shell EP Ireland managing director – and 10 Erris community representatives. The Mayo delegation includes “Rossport Five” members Micheál Ó Seighin, Vincent McGrath and Willie Corduff of Pobal Chill Chomáin community group. Pobal Chill Chomáin will also be represented by Fr Michael Nallen, who proposed a compromise location for the Corrib gas terminal, Mary Corduff and John Monaghan. The Erris group Pobal le Chéile, which represents business interests in the area, will also participate with its four delegates, including former Air Corps pilot Ciarán Ó Murchú and fisherman Anthony Irwin. The discussions will have an “open agenda” for the first time in the State’s involvement in the dispute. Both Pobal Chill Chomáin and Pobal le Chéile have so far declined to participate in the ministerial forum, established by Mr Ryan and Mr Ó Cuív late last year and chaired by Mr Brosnan, because of restricted terms of reference. Mr Brosnan said yesterday he hoped the talks would be successful. In a joint statement, the two Ministers said “the aim of this meeting is to try to resolve issues in relation to the Corrib gas project”. The Ministers said they hoped all parties would “enter the talks in a positive and open manner”, and “have agreed that the meeting will be conducted in an even-handed way and that it will have an open agenda with no predetermined outcome”. Shell EP Ireland said it welcomed the opportunity to “participate in a positive and open manner in these talks”. Earlier this week, Shell’s exploration and production division head, Malcolm Brinded, was quoted by Bloomberg financial news agency as stating that the company would complete its natural gas pipelines this year. However, An Bord Pleanála is still in the early stages of assessing Shell’s revised plans for a modified pipeline route, and for planning approval for the critical beach valve station at Glengad. The board is still accepting submissions until April 7th, and the issue is expected to result in an oral hearing – with the earliest final decision date being August 10th. The company postponed plans to lay its offshore pipeline last year due to several issues. IARNROD Eireann is to press ahead with plans to build a €100m skyscraper to incorporate a new train station in the middle of Dublin, despite the economic downturn, writes Paul Melia. And it says it is confident of finding a development partner to build a 10-storey, 60-metre-high office development at Tara Street, pictured right in this architect's illustration. The rail company will apply this month for planning permission to build a €100m office block and new train station which will allow up to 14,500 passengers an hour to access the DART and other rail services. One of the busiest stations on the network, Tara Street handles 25,000 passengers a day, or 20pc of all people using the network. DART and commuter services will increase from 12 services per hour each way to 20 after the city centre resignalling project is completed. The station will remain open during the construction period. Any plans by the government to axe the Metro North would be ‘‘short-sighted’’, according to one of the consortiums bidding to build the 17-kilometre rail system. In the first official comment from any of the four consortiums competing to build the project, Metro Express technical manager John Duffy criticised some commentators for giving ‘‘monopoly money’’ estimates on the cost of the project. He said that commentators and politicians were ‘‘making up figures about costs, when they actually have no idea about them’’. Estimates of the cost of the rail link between Dublin city centre, Dublin Airport and Swords have ranged between €3 billion and €6 billion. The Metro Express consortium includes the Sisk construction company, Mercury Engineering, Transdev rail operators, AIB and the Macquarie Group bank. Duffy said that, as far as the consortiums and the Railway Procurement Agency (RPA) were concerned, the rail system is ‘‘definitely proceeding’’, despite pressures on the public finances. ‘‘There has never been a better time to build in recent years,” Duffy said. ‘‘The huge fact that seems to be lost is that, as a PPP (public private partnership) scheme, the consortium will pay for the first five years of construction, which is the general rule with these projects. ‘‘The government can also choose to pay this back over a 25-year period,” said Duffy. He added that Metro North would provide between 5,000 and 7,000 jobs, and the costs of materials and land had gone down, along with interest rates. ‘‘Cost savings on it have been the priority for all the consortiums. We have spent €10million on our bid, and Ireland’s international reputation for PPPs would be seriously affected if Metro North was axed,” Duffy told The Sunday Business Post. RPA spokesman Tom Manning said the agency was working ‘‘flat out’’ reviewing the bids. ‘‘This project will create up to 7,000 jobs, and we have calculated this will save €140 million out of the social welfare budget for unemployed construction workers, without taking into account their spend and income tax return,” he said. Businessman Gerry Barrett plans to demolish the Corrib Great Southern Hotel in Galway, just weeks after local controversy about the zoning of the hotel site. A company called MD Merlin Developments, which is controlled by Barrett’s Edward Holdings, has sought permission to demolish the 175-bedroom, five-storey hotel. The hotel is on a site of 6.5 acres on the Dublin Road close to Galway city. Barrett could not be contacted for comment last week, and it is not clear what he plans to do with the site if his application is successful. At a meeting of Galway city council last month, an independent councillor, Declan McDonnell, proposed that the hotel site be rezoned for commercial use, which could significantly increase its value. The motion was supported by Labour Party councillor Tom Costello, but was opposed by the city manager, Joe McGrath. While McDonnell withdrew the proposal, the matter is likely to arise again next month when the Galway city development plan comes under review. Barrett bought the Corrib hotel in 2006 when he paid a total of €140 million for it with the Great Southern hotels on Eyre Square in Galway and in Killarney in Kerry. He sold the Killarney hotel and rebranded the Eyre Square hotel as the Meyrick. The value of the Corrib hotel was not disclosed at the time, but accounts for MD Merlin Developments show the firm has fixed assets valued at €36.9 million. The firm made an after-tax loss of €2.5 million in 2007, but said another group company, Talebury Properties, had agreed to provide it with financial support. During 2007, MD Merlin Developments received €41.5 million from its parent company, KH Kitty Hall Holdings. It also had a bank loan of €9 million, which was secured on the assets of the firm and other group companies. The move was welcomed by Vincent P Martin, a Green Party councillor in Monaghan, in dispute with Monaghan County Council over procedures adopted for the sale of two local sites by private treaty. Martin had raised questions with the council about the sale of industrial and commercial sites at the Convent Lands in Carrickmacross. IN ONE of the city’s longest running planning sagas, developer Mark Piggott has got permission from the council to knock Clontarf’s Redcourt House – “fire gutted and derelict says Piggott – for a scheme of 59 apartments. The Victorian property hit the headlines last year when the burned remains of a man were found after a fire in the house. In January Piggott got permission to convert the house into four apartments and build a five-storey 33-unit apartment block and nine townhouses on the site. In the wake of the fire Piggott submitted an alternative application seeking permission to knock the house and build a new house containing five apartments as well as a five-storey 54-unit apartment building. The house on 1.65 acres has been at the centre of a planning dispute in recent years. While Piggott bought the house in 2004 for €7.5m, there are planning files for the house dating to 1980. Piggott’s original plan to knock the house for 54 apartments was rejected by the council and An Bord Pleanála. Although the developer succeeded in stopping the house being listed, the board said it was an intrinsic element of the site. Meanwhile, another planning saga was simmering away this week. Developers Clondean Ltd – made up of Mark Sloan, Francis Rhatigan and Christopher Jones – were thwarted in their plans to add two more storeys to their proposed apartment scheme at the former OPW site at Lad Lane, D2. An Bord Pleanála ruled that the additional two storeys would be contrary to proper planning. Expect appeals and renewed applications! PLANNING: PLANS FOR a €100 million indoor ski resort and extreme sports centre in Tyrrelstown, Co Dublin have been given the cold shoulder by planners at Fingal County Council. Dubbed “Snowtopia” by its promoters, the plans features two indoor ski slopes, Ireland’s first indoor ice-climbing area, a separate rock-climbing facility, as well as shops, paintball centre, cafés, restaurants and a cinema. Refusing permission, planners at Fingal County Council said the ski resort would be “prejudicial” to the possible future expansion of a neighbouring pharmaceutical company. The scheme’s cinema, according to planners, would also adversely impact on a cinema in the Blanchardstown centre. Planners also stated that the scheme would lead to the creation of an unsustainable car-dependent development. Expressing disappointment at the decision, developer Rick Larkin of Twinlite has vowed to appeal the decision to An Bord Pleanála. Twinlite, responsible for the 2,000-unit Tyrrelstown scheme in north Dublin, had hoped to open the centre in the winter of 2010. They say the scheme will provide employment for over 1,000 people. The main objectors to the scheme were the IDA, Bristol-Myers Squibb pharmaceutical company, and UCI Cinemas who operate a facility in Blanchardstown. When the scheme was first unveiled last December Twinlite said it expected up to 1.5 million visitors a year to the development. A HIGH Court judge has said the courts should never lose sight of the fact that the integrity of the planning process is a “vital national interest”. Bad planning decisions “sentence generations to live with the consequences” and, in interpreting the planning legislation, the courts should never lose sight of the overarching national interest in the integrity of the planning process, Mr Justice John Hedigan said. He made the remarks in a judgment yesterday rejecting an application by two builders aimed at requiring Clare County Council to grant them default permission for a proposed development of two houses on a site at Dough, Liscannor Road, Lahinch. Martin and Michael Ryan, developers based in Limerick city, had applied to the council in May 2007 for planning permission to demolish an existing house on the Dough site and construct two two-storey houses, plus car parking spaces. In late June 2007, the brothers were advised in error that permission had been refused but the error was corrected within days and the judge said the brothers were aware by July 3rd, 2007, at the latest, that no formal decision had been made. A draft order refusing permission had in fact been made but, due to an oversight, was not signed by the relevant person within the required time period. The brothers then sought default permission but the council in September 2007 refused to allow them avail of the default permission mechanism. The council argued the proposed development contravened the Clare county development plan 2005 or was contrary to its general objectives, including conserving and enhancing the quality and character of the area and protecting residential amenity. The council said the immediate surrounding area of the development was dominated by single-storey and dormer-style bungalows considerably more discreet than the houses proposed by the Ryans. Rejecting those arguments, the judge said the proposed two-storey housing development would be similar to many in the surrounding area and not entirely out of character and he could not accept it contravened the development plan. The council had placed considerable emphasis on the volume of objections to the proposed development but that was only relevant when considering the materiality of any contravention as opposed to deciding if one exists, he said. However, the judge accepted the council’s argument on the need to have regard to the local area plan. He noted the proposed development would have a density of 32 units per hectare when the plan had adopted densities of 25 units. The development would also overlook a neighbouring property and there were other issues about vehicular access and adequate space between buildings. He ruled the court did not have the power to make an order effectively requiring the council to grant default permission when regard to the local area plan was an essential prerequisite to any decision by the council. The court could not act as a planning body and, unless it could be shown a default permission would be fully in accordance with the plan, such permission could not be granted. The court was also obliged to interpret the 2000 Planning and Development Act in accordance with rights, under the European Convention on Human Rights, of those who had objected to the development, he said. The court would fail in its obligations under the convention were it to grant the order without first considering if the rights of objectors had been infringed. Madam, – I read with great pleasure – and indeed a renewed sense of hope – the report in your edition of March 12th of a Co Clare planning case which came before Mr Justice Hedigan in the High Court. The judge’s remarks that the planning system is “a vital national interest”, and that today’s bad planning decisions “sentence generations to live with the consequences” will be a source of comfort to planners, architects and other concerned groups throughout the country. They go to the heart of our current planning problems. After the demise of the so-called “Celtic Tiger”, we have thousands of houses scattered across the country in inappropriate locations, many empty or half-built. They will present severe challenges for future generations. McHugh -v- Kildare County Council. Judgment was given by Mr Justice Adrian Hardiman on February 24th, 2009, the Chief Justice, Mr Justice John Murray, Mrs Justice Susan Denham, Mr Justice Hugh Geoghegan and Mr Justice Nial Fennelly concurring. An agreement on the part of Kildare County Council and the plaintiff that he would transfer some land to the council in the event of other land being rezoned was not an agreement within the meaning of section 38 of the Local Government (Planning and Development) Act 1963, as amended by the Act of 1976, and was ultra vires the council. It was therefore void. In the late 1990s, Mr McHugh was the owner of 47 acres of land in Co Kildare, near an interchange on the main road. He considered it suitable for zoning for industrial use and he applied to Kildare County Council, the planning authority for the area, for such zoning. Discussions on the matter took place between him, his solicitor and engineer, and the council. As a result, an agreement was entered into to the effect that he would cede to the council 20 per cent of the land if his land was rezoned for industrial use. The agreement also stated that this assertion was a matter incidental to the grant of rezoning. It was common case that the form of the agreement came from the defendant (the county council) although the suggestion came from the plaintiff, who signed it. No one signed it on behalf of the defendant, though the council relies on it. In the case in the High Court, the plaintiff said he had been required to sign the letter. However, in the Supreme Court appeal against the High Court order in favour of the council, the plaintiff did not suggest any coercion and instead argued that the agreement was not capable of being an agreement within the meaning of section 38 of the 1963 Act and was unenforceable, even though he had benefited from the rezoning. The county council insisted that the agreement was enforceable under section 38 of the Act. It had begun proceedings for the transfer of the lands in 2005, but had not progressed them and they formed no part of this case, even though minutes of council meetings showed that all the landowners who sought rezoning of their lands “coincidentally or otherwise” agreed to cede some of their lands in the event of rezoning being approved. The issue in this case was therefore a very narrow technical issue – whether the agreement was enforceable under the Act or not. “The court has not been invited to consider the validity in administrative law of an arrangement whereby a statutory decision maker will derive a benefit if he, she or it decides in one way rather than another and it may be important to stress that that issue simply does not arise in the present proceedings,” Mr Justice Hardiman said. The trial judge in the High Court had found that a consideration moved from the council to the plaintiff and it appeared he considered this to have been the rezoning. However, in the appeal, the council strongly denied that this was a consideration which moved from it to the plaintiff. Mr Justice Hardiman examined section 38 of the 1963 Act, as amended, which states that a planning authority may enter into an agreement with any person “for the purpose of restricting or regulating the development or use of the land either permanently or during such period as may be specified”. The purported agreement with Mr McHugh stated that he “hereby irrevocably covenant(s) and agree(s) with the said council that in the event of the lands, the subject matter of my above application being rezoned . . . I will transfer to the council free of charge or expense the lands [as indicated on a plan]”. This was clearly a covenant to transfer lands, he said. “It seems to me that section 38 simply does not contemplate an agreement for the transfer of lands at all. Restricting or regulating the development or use of lands is something of a quite different nature to transferring their ownership. Counsel for the defendant had argued that because the whole transaction had taken place within the context of a proposed rezoning for industrial use and because the local authority could only use the land in accordance with the development plan to be amended by the rezoning, this was an agreement to “regulate or restrict development”. Mr Justice Hardiman said that the purpose of an agreement under section 38 was to regulate the use of land while it remained in the ownership of the person who arrived at the agreement or anyone to whom he sold the land, not to allow the transfer of the land to the council itself. If it was transferred to the council there would be no need for an agreement to restrict its use, which the council could do as owner. If the agreement was not an agreement within the meaning of section 38 it appeared to be ultra vires the council, which had not been given a power to acquire land by the means envisaged in the purported agreement. Counsel for the defendant had said this decision would allow Mr McHugh to refuse to “stick to his bargain”. Counsel however had great difficulty in articulating what this bargain was and had said that the transfer was not in consideration of rezoning, but of his proposal being placed before the councillors. The councillors would have been obliged to consider the application anyway. The judge in the High Court case had understood that the consideration for the land transfer was the rezoning, but the defendant had flatly denied this. Mr Justice Hardiman allowed the appeal and declared the agreement to be void. Gavin Ralston SC, Eamon Galligan SC and Mark Dunne BL, instructed by Coughlan, White O’Toole, Newbridge, for the appellant; Pat Butler SC and John Doherty BL, instructed by R A Osbourne, Athy, for the respondent. WORK IS to start “as soon as possible” on the first crematorium in the west, in Shannon. This follows An Bord Pleanála overriding the recommendation of its own inspector to give the go-ahead to Illaunamanagh Ltd for contentious plans to construct the crematorium. The €1 million plan was vehemently opposed throughout the planning process by Shannon’s mayor, Gerry Flynn (Ind), and residents. However, in deciding not to accept the inspector’s recommendation to refuse planning, the board ruled that the crematorium would not seriously injure the amenities of the area or property in the vicinity. Last year, the Fianna Fáil and Fine Gael groups at Clare County Council combined 26 to one in a vote to contravene the South Clare Plan to back the proposal. The two directors of the company are former members of Clare County Council, Seán Hillery and funeral director Tony McMahon. Mr Hillery remains a member of Shannon Town Council. Mr Hillery said yesterday he was very pleased with the decision, adding that work would get under way “in late-spring early summer”. Mr Flynn and the Residents of Gleann an Oirr in Shannon had appealed the council’s decision along with two others. Mr Flynn said the inspector’s report recommending refusal “totally justified the concerns I had in opposing the plan”. In deciding not to accept the inspector’s recommendation, the appeals board said it had regard to the proximity of the crematorium to a graveyard and noted the applicant’s further submissions on flood risk and existing sea defences at Shannon. TDs have agreed on recommendations for new laws for the Environment Minister in a bid to prevent councillors rushing through development plans ahead of elections. Local authorities should be banned from commencing or renewing development plans within two years of local elections, under the proposals. Fine Gael’s Padraic McCormack yesterday noted the turnover of councillors at election time, saying about a third of local authority members changed. This affected the completion of development plans, with councillors either rushing through plans before elections or newly elected members being too inexperienced to deal with them, the Oireachtas Committee on Environment heard. Under the proposals, which will be launched in a report today, it is recommended development plans are begun at least two years before councillors compete in local elections. The period is the full length of time available to local authorities to decide on development plans, therefore allowing for their completion before the turnover in councillors. "There should be no start of a development plan before elections as they (councillors) have no time to complete the plan. The process can’t and should not be interrupted by elections," stressed deputy McCormack, the committee’s vice chairman. 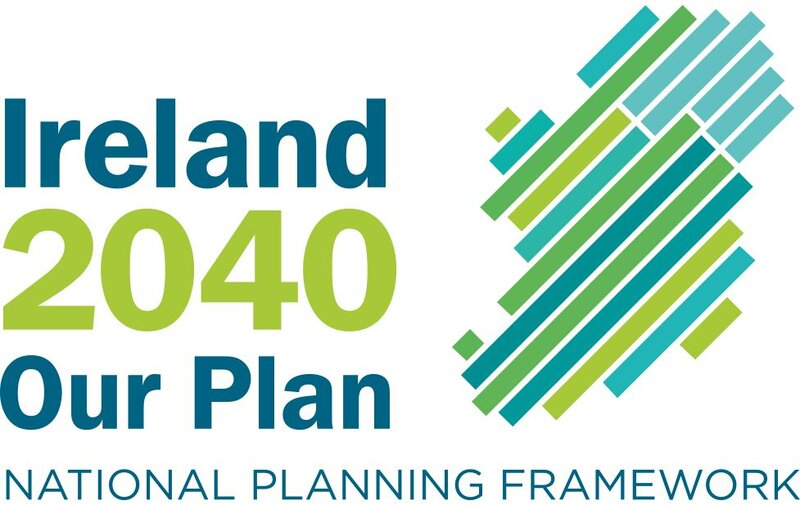 The Green Party’s Ciarán Cuffe said the interruption of development plans was "a very real issue". It is understood Green Party leader and Environment Minister John Gormley is preparing planning legislation which is expected to go before the Houses of the Oireachtas this year. The proposals for the ban on rushed development plans are expected to be included in a report launched today. The Application of Ministerial Directions to City and County Development Plans will also feature proposals for councillors to get "impartial" legal advice on development plans and local authority proposals. It is also expected that the Oireachtas Committee will recommend that where a minister intervenes in development plans, they must do so within a limited timeframe. Between 2004 and 2008, the Environment Minister intervened in six development plans belonging to Dún Laoghaire-Rathdown, Laois, Monaghan, Castlebar, Mayo and Waterford. The report recommends reducing conflict between the minister and local authorities when city and county plans are being drawn up. It follows complaints by Mayo County Council after Mr Gormley intervened in its plan. WATERFORD County Council has commenced enforcement proceedings against a TK Maxx outlet in Waterford after An Bord Pleanála found it had contravened planning laws. The board, in a ruling issued last week, found that TK Maxx at the Butlerstown Retail Park did not have permission to sell items such as clothes, toys and shoes because they do not meet a "bulky goods" classification. Sixty jobs at the store are now under threat, it is feared. An Bord Pleanála investigated the sale of items at TK Maxx, following a complaint by local developer Noel Frisby, a director of Noel Frisby Construction Ltd who has interests in the Lisduggan Shopping Centre. The board ruled that TK Maxx, along with a Mothercare outlet that was due to open at the park, contravened planning laws, as outlets at the park can only sell items that are deemed to be "bulky". A spokeswoman for TK Maxx yesterday said: "We are extremely disappointed by this ruling. It is a very complex situation and we are currently working to find a resolution that will be in the very best interests of our store associates and our customers in Waterford." Director of services at Waterford County Council, Brian White, said that the council had deemed Mothercare to be within the bulky goods classification. "We are certainly working out the options with them and are trying to reach some conclusion that will save [those] jobs." Mr White said the options that are there for TK Maxx were to "defend the case against them in court, to apply for planning permission for retention, or to look for some alternative solution". However, Waterford’s county councillors expressed anger at the monthly meeting of the local authority on Monday evening and passed a motion of no confidence in An Bord Pleanála. Waterford county councillor Pat Daly said: "One job is a lot to lose at the moment, but if we can protect, in any way, sixty jobs, it is the duty of all of us here to do it." The Mayor of Co Waterford Tom Higgins criticised Mr Frisby at the meeting. He asked Mr White: "It is a bit rich, a Kilkenny man coming in, telling us what to do, isn’t it?" Mr White replied: "Mayor, with respect, any member of the public has a right to insist that the planning regulations are enforced." Proposals to rezone the land were considered unlikely to succeed. Cllr John Carey added: "I have the utmost respect for Waterford planning and I think it is high time now that we called for disbanding of An Bord Pleanála because they’re certainly not doing us any favours." In response Cllr Damian Geoghan said: "If we go along with the proposals [for a vote of no confidence] today, what we are saying is that there should be no appeals process in this country in relation to planning." A spokesman with An Bord Pleanála yesterday confirmed that it "ruled that TK Maxx does not have the correct planning permission for what it is proposing". A RULE in Kerry that does not allow telecommunications masts within 1km of houses, schools and other residential buildings will delay the roll-out of broadband in rural areas of the county, county manager Tom Curran has warned. The national plan is to have broadband in all rural areas by September 2010, but the 1km rule is likely to impede the installation of high-speed internet access in many parts of Kerry by Hutchinson 3G Ireland Ltd, known as 3. A total of 28 high sites for masts have been identified in Kerry, 17 existing and 11 new. Planning permission will be needed for the new sites, but will be refused because of the rule, Mr Curran pointed out. "It will be necessary for 3 to appeal our decision to An Bord Pleanála if they are to fulfil the terms of their contract," he told a council meeting in Tralee. He said the long process "will mean Kerry will be one of the last counties to get broadband in rural areas, putting residences and businesses at a disadvantage". Fine Gael councillor Johnny O’Connor felt it was time to get rid of the rule, as it put Kerry at the end of the queue for broadband. Independent councillor Brendan Cronin said local communities "will appeal anyway, as they are opposed to masts". Independent councillor Michael Healy-Rae did not feel the rule should be the reason for delays. Can the builders survive the hit?